The team at Relative Matters have a successful history and good reputation for supporting their clients in a person-centred manner, to achieve the goals identified by the client which are the most important to them. For example, this could be enabling a client to remain living within their own home with appropriate support, assisting them with identifying and applying for financial entitlements that they are eligible for, or organising and facilitating a return home from a care home. 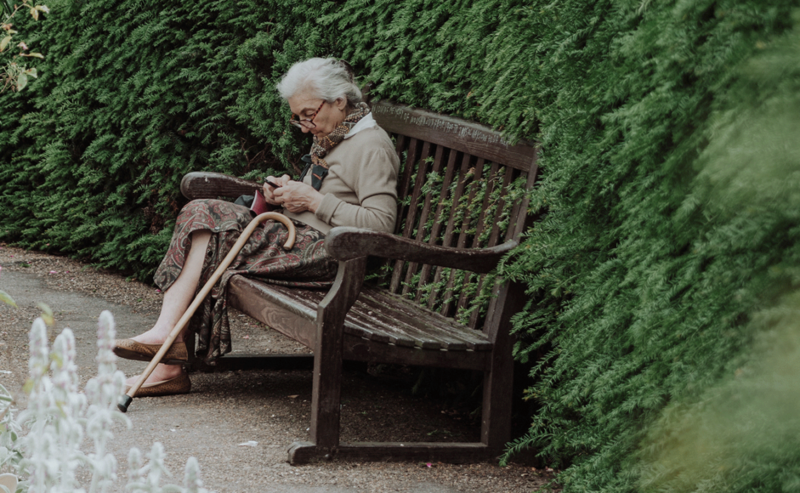 This is becoming much more common these days, due to older people wanting to remain living in their own homes and maintaining as much control and independence in their daily living as possible. The most important part of working in a person-centred way, and that which is key to Relative Matters’ success in supporting people, is to listen to what is important to them and then guide them in a practical, supportive, safe and financially appropriate way to achieve what they want. This can take some time but once the person’s financial situation and their wishes are established, swift action can be taken to support the person in getting to where they want to be. Often, as people are living longer and can find themselves alone or unable to manage their finances, Solicitors are asked to become actively involved as the person’s financial representative under a Financial Lasting Power of Attorney. Relative Matters have years of experience in working in partnership with Solicitors to ensure the person’s wishes are acted upon in a timely and responsible manner. As this scenario is becoming more common, it is important to look at the roles of professionals working with and on behalf of the client to ensure a successful outcome. If the client has capacity, the Solicitor is only able to act on their behalf as much as the client wants them to. Often, it is the Solicitor, having discussed the matter with the client and gained their consent to a referral, that instructs Relative Matters to work with them to achieve a specific goal. In the case of the client not having capacity, the Solicitor would refer to Relative Matters in the client’s best interests. Miss Taylor, aged 87, recently suffered a health decline. She was formerly an extremely independent retired Nurse, who in the past, moved her elderly parents from up North to down South so that she could care for them until they passed away – an admirable lady. Her physical decline was hard for her to accept as it resulted in an emergency respite stay in a care home which then turned into a longer, several months’ stay. Miss Taylor had capacity and was verbalising to her Solicitor (who was acting as her financial Attorney) that she wanted to return to her home and be supported to remain there for the rest of her life. She was in agreement for her Solicitor to organise this, and following some discussion, she and her Solicitor felt that it would be Advantageous to involve Relative Matters as the company had a good reputation for helping people in Miss Taylor’s situation and she felt this help would enable her to achieve what she wanted – to get home. Relative Matters completed an inclusive consultation; an in-depth assessment of need, finances and things that are important to the client. Following completion of the consultation, an access visit from Relative Matters OT Department to Miss Taylor’s home was completed to assess the home environment and confirm if it was suitable or not for her return home with live-in care. The OT confirmed the house was suitable and could accommodate Miss Taylor’s level of care support needs, with a little re-organisation of the physical environment and provision of a good and reliable care team. This was promptly communicated to Miss Taylor and she was animated, interested and motivated to proceed and stated that she had, for the first time in many months, been given hope – hope that she could return to her home, and be in her own surroundings which meant everything to her. Hope is such an important element to mental health and well-being, particularly when working with older people who may have experienced significant loss and want to hold on to everything dear to them for as long as possible. Therefore, the team at Relative Matters worked hard to seek out an appropriate, reliable, cost-effective and trustworthy care provider. The solicitor, however, was initially reluctant to the plan, as he was concerned for her finances; live in care at home can be slightly more costly, due to the cost of care and of the running of the home. For this reason, the Solicitor wanted to wait another month or two to see how Miss Taylor’s health would be and if at this time, a return home would still be feasible. It was at this point where Relative Matters stepped in to organise an urgent meeting to include Miss Taylor and the Solicitor to determine the way forward as Miss Taylor had been in care for some months and was clear at every meeting with Relative Matters, that a return home was what she wanted and as soon as possible. It was clear that Miss Taylor had enough finances to pay for live-in care in her own home for 4 years. She also had enough capital, in the value of her home for equity to be released to extend her preferred living arrangements. She had no living family and no beneficiaries of her Will. Miss Taylor maintained that her wish was to return home as soon as possible and understood that her monies would dwindle through payment of care and ongoing costs of keeping her home. The Solicitor then agreed, that care that would be robust and well-managed could be provided, so that Miss Taylor would be looked after responsibly and appropriately to meet her needs. He could see that this was clearly what Miss Taylor wanted and that she had capacity to make an informed decision because Relative Matters had included her in the process of exploring this as an option at every step. Relative Matters have years of experience and specialist knowledge which not only enabled Miss Taylor to have hope that her wish could be fulfilled and she could return home, but also provided her Solicitor with the reassurance that this was in her interests as she had capacity, to make this decision and understood the financial implications of returning home. The Solicitor was acting in her best interests in trying to protect her money and ensure it lasted for the rest of her life but had not given enough consideration to the fact that returning home was so important to Miss Taylor and that it was her decision to make. Miss Taylor returned home 10 days later and 6 months after her return home, is much better physically, has social contact with neighbours and goes out most days with her carer in her wheelchair. She maintains that home is where her heart is and was glad she never gave up hope of returning to her home. Relative Matters maintain that this was a successful outcome as Miss Taylor’s wishes were at the centre of decision making and the team ensured that professional roles were clear. Both are important in ensuring good client outcomes. Please do contact Relative Matters for further advice if you are struggling with helping a relative/friend/client. We pride ourselves on assisting with everyday issues as well as extremely complex issues and have a track record to prove this. We have specialist knowledge and experience in all aspects of care provision and are happy to help in any way that you need. Next Next post: Who Should Undertake Mental Capacity Assessments?